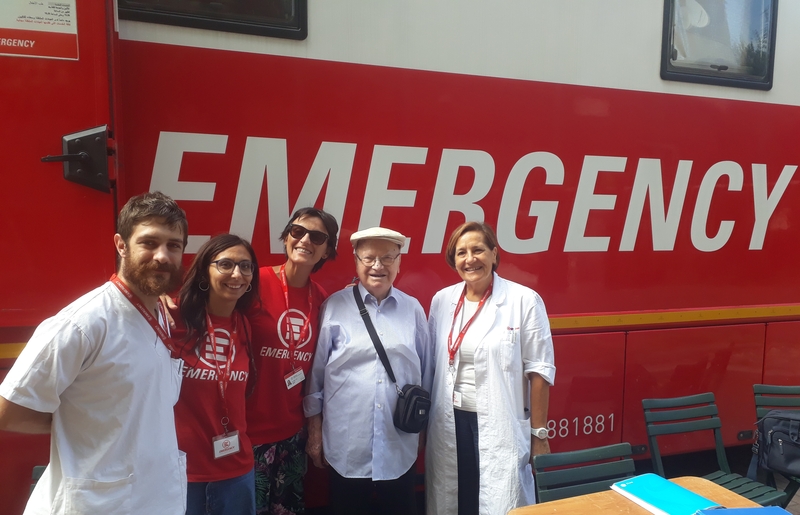 The Politruck is our mobile clinic that operates in the urban areas and districts of Milan, guaranteeing the right to treatment in marginalised and decaying areas, and where EMERGENCY’s doctors, nurses and cultural mediators promise assistance and socio-health orientation for those who are most vulnerable and in need of these services. Every day, new patients come onto the Politruck, and with them new stories: from January to August of this year we treated 1,538 people. Even over the last few weeks of the summer, when the city was semi-deserted, our practice gave us interesting encounters, such as this one. Mr Ricordo joined us on Piazzale Cuoco. He was happy to find us during the summer holidays and, after his general practitioner’s appointment that he undertook on the Politruck, he insisted on paying us, ten Euros in-hand. We explained to him that our projects have always been based on the principle that it is a human right to have access to efficient and free healthcare. Before saying goodbye, promising that he would come back to visit us, he told us that we had made his day. He had done the same for us: his enthusiasm was contagious and had moved the team. After that first encounter, Mr Ricordo came back to say hi again later on. After telling us his age we began to wonder how a man who was 103 years old could still be in such good shape!We decided to take a picture with him to commemorate the moment of when we met, not only to remember it for as long as possible, but to also be proud of the ideals we put into practice every day, even in our own country: respectable and free treatment for everyone.